The international advertising agency KG Media, based in Austria and with branch offices in Croatia, has for years been developing and implementing marketing campaigns of Croatian tourist companies in a variety of media. 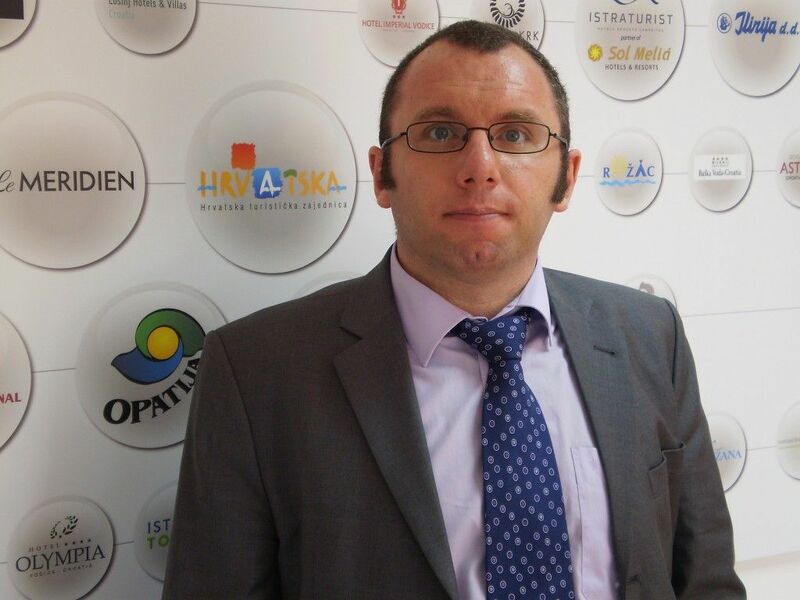 In conversation with us their long-time expert and sales manager Saša Peterković reveals little secrets of quality optimisation of the media mix in tourism. Q: Have you noticed some major changes and trends in recent years in the way of communicating the tourism market and its offer? In the last decade, the concept of Croatian tourism has not drastically changed, even though every year we are witnessing changes for the better, primarily in terms of solving our major ailments, which is a too short tourist season. During this same period, the trends of communication have greatly changed, primarily due to the exponentially growing trend of using the Internet on a global scale. In other words, 10 years ago budgets for advertising in online media were a very small proportion of the cumulative advertising plans, while from about five years ago we are witnessing that the trend is changing in relation of the budget favouring the Internet, and at the expense of other types of media, especially print. Q: How much has the economic crisis affected advertising budgets? We are all aware that tourism is one of a few industries that each year generates better results, while a significant number of others are stagnating or declining. As a result, fortunately, we do not have large fluctuations in terms of the budget we are working with, as our clients are aware of the fact that reducing the budget for advertising could consequently bring a reduced awareness of their tourism products and services in receptive markets important to them. This can be dangerous, especially because the competition is not sleeping. As a result, an increasing number of companies want to have quality advertising plans in order to improve their own marketing and sales plans and activities. Q: What are your expectations in terms of allocation of budgets in the tourism industry in the future? In terms of budgetary allocations in advertising of tourism in the future, I believe that in the Croatian tourist market online budgets will grow at the expense of other types of media, and it is going to be so all the way up to a kind of saturation, which has already happened in markets such as Germany and Austria. A large number of tourist associations and companies in these markets has almost completely expelled offline media from their advertising plans, which are now, slowly but surely, putting them back and also other media in their media plans. In our benchmarking it shows that companies that use a high-quality media mix eventually generate much better results compared to those companies who want only the Internet as a platform for their advertising plans. My personal view of things in this paradox is that the Internet is in many cases great for “completing the business” – a salesman. But the initial spark that awakens a desire in people to buy – or to go to a destination – usually happens offline: on TV, print media and radio. Therefore, I predict that things will eventually balance, because a high-quality media mix is not built only from Google AdWords and from placing sponsored stories ads on Facebook. Not even in the context of online media plans. Q: How much are the Croatian tourist companies or destinations well represented, or are creating their own image in the media? It can be said that the Croatian tourism milieu in general adequately promotes their offer, and I think everyone will agree that we have the chance too, at least in the selection of photos for presentation of our tourism, we should not beat ourselves up too much, because we have God-given predispositions of quality and attractive tourist destinations. Q: In the last years Google AdWords advertising has brought a real “buzz”. How effective it is in tourism and how best can one achieve the fastest and most convenient conversion of such advertising? Advertising on Google is extremely effective in the field of tourism, the fact that the search by keywords related to tourism are among the most numerous ones, and in relation to other topic searches they are in order to purchase. We believe that the conversion (or conversion from a visitor to your website into a buyer of your product or a proven prospect for your service), can be fastest and best achieved by employing a certified agency for advertising on Google. Q: How much truth for tourism subjects is there in the saying : “If you’re not on Facebook, it is as if you do not exist”? Facebook is, as we all know, globally the most used social network. From the perspective of business subjects, Facebook offers a very important concept, which is not present on most web sites of tourism subjects: it is the main principle of the so-called Web 2.0 philosophy, which is a two-way communication. Until the advent of social networks, media and web pages were mainly communicating uni-directionally => I provide you information to you and you do with it what you want. Social networks have added the aspect that was missing: prospective or actual users of products and services give their opinion on what they want and in the manner and time that best suits them. A large number of companies are opening pages on Facebook, this way they want to “blow up” as many Likes as possible, and at the same time they do not care enough for the timely communication with visitors of their FB page, or for the response to their posts. I think that the co-ordination of quality management of the Facebook page and, in parallel, advertising according to target groups on Facebook, is a winning combination. Q: Could you highlight some of the best examples of advertising campaigns in the tourism industry in the world or in Croatia? One of the most globally successful campaigns in tourism was the branding of Spain as a tourist destination. Until the end of the 1970s, Spain was a poor country, which by all means wanted to catch up with the rest of Western Europe, which is now almost unthinkable, as we see it as a very successful tourist destination. During the World Cup which was held in Spain in 1982, Spain implemented a very strong campaign, which was based on the new logo of the destination, designed and based on the sun. Although this advertising campaign of their tourism is not the only factor that influenced the modernisation of Spain (and let’s not forget the Olympics in Barcelona, as well as the changes that have occurred in the government’s political and social strategy), it is believed that it was this campaign that enormously helped to “put on the map” the country as an important tourism player. Since this campaign was launched, Spain became the eighth world tourism power of the world. From a marketing perspective, the campaign worked, given that it successfully positioned Spain as carefree destination full of beaches, while the message “Todo bajo el sol” (everything under the sun) suggested that the country offers much more than sun and sangria. With this message was successfully transferred the emotion of richness of exciting experiences, which are only one touch of sun tanned, sea salt sprinkled fingers. This image of Spain persists to this day, more than 30 years after the launch of the campaign.